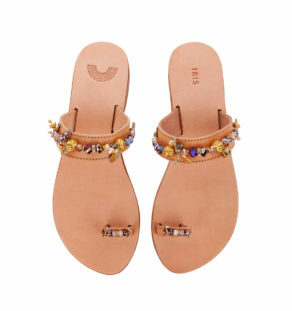 Wrap your tootsies up in some hot blue hues with the vibrant Afros sandals. 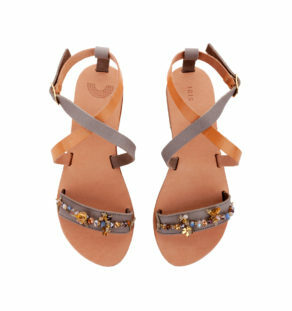 With a colour palette firmly inspired by the colours of Greece – the Iris brand’s homeland – these strappy sandals fuse boho chic with laidback island style to perfection. A refreshing mixture of pure white, metallics and cobalt blue along with a single vibrant tassel adds a chilled out vibe to the nautical aesthetic. 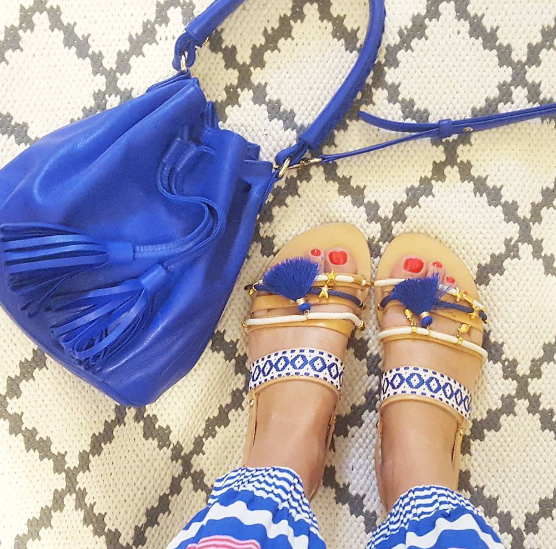 A touch of femininity comes courtesy of the gold charm detail decorating the blue and white hand woven cord straps. 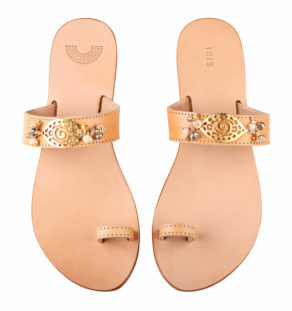 The timeless embellished style makes these leather sandals perfect for daytime or evening wear with versatile tones allowing easy outfit pairing on a summer or winter getaway.